What is a tennis leader? A tennis leader is someone that is able to support the coach and committee with the day to day running of the tennis venue and tennis programme. Tennis Leaders is an exciting programme which can help young people get the first step on the career ladder. Adults who enjoy volunteering see it as a way of getting some informal training around organising competition or taking a role on the committee. 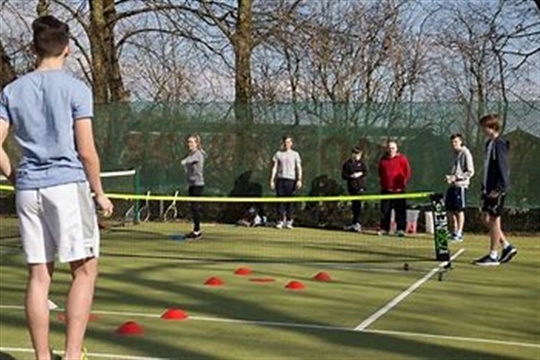 The tennis leaders course is aimed at 13 years plus. The content is suitable for older juniors just starting out on the tennis career pathway, right through to adult volunteers looking to support their local coach, referee or club official. To undertake the tennis leaders course students should speak to their sport co-ordinator, teacher or coach at their local venue. Learn the basics of tennis and understand how variations of the game are used to introduce all ages and abilities to the sport. Learn communicaion and organisational skills and some key on court drills. Volunteering at your tennis venue - you will learn about what makes a succesful place to play, understand the different ways of promoting facilities and programmes and learn about the roles of a management team. Leading a practice session - understand the structure of a hitting session, learn about the different types of feeding and the responsibilities of a practice hitter. Helping at your school - learn how to organise tennis activity for large groups including informal competition. Helping at a competition -learn how to score for a Mini Tennis match, how to organise a round-robin match and how you can support your competition organiser or referee.